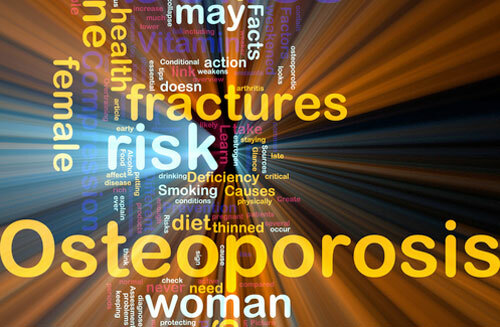 Osteoporosis has become an epidemic in the United States. About 10 million people -- 80 percent of them women -- suffer from the chronic condition that leads to debilitating and life-threatening fractures. What's worse, the number of people with low bone mass -- high risk for osteoporosis development -- keeps growing. While 34 million people now have low bone mass, by 2010, the number is expected to climb to 52 million. Spend time outdoors. Exposure to sunlight increases your level of vitamin D -- a necessary element for absorption of calcium, which prevents osteoporosis development. Be careful when bending and lifting heavy objects, including children. When lifting, bend from the knees, not the waist, and try to avoid hunching over while sitting or standing. Remove throw rugs, electrical cords, and other objects you may trip on from the areas where you walk. Falls from a standing position for an osteoporosis patient often mean fractures. Decrease consumption of foods high in phosphorus, such as soda, potato chips, hot dogs, bacon, beer, biscuits, crackers, white rice, liver, bologna and peanuts. Too much phosphorus decreases absorption of calcium and other minerals and weakens the bone.